Working in Houston, Texas and Bakersfield, California, ENIGMA Multimedia Marketing Consultancy is your full-service choice for marketing projects. Jason is mobile and ready to help your company or organization crack the code of effective marketing through web design and development, social media management, graphic design and more. 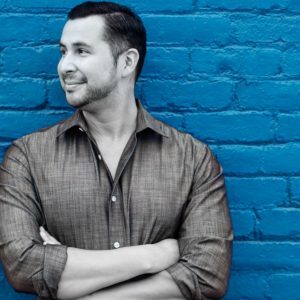 Since 2012, Jason Gutierrez have been specializing in social media marketing, web site design, graphic design, public relation, special event management and small video production. Additionally, ENIGMA can assist in community events, fundraising efforts and brand awareness for non-profit and small to medium sized business clients. A graduate of California State University, Bakersfield, Jason graduated with a B.A. in Communications. He’s sat on multiple community nonprofit boards assisting with marketing and fundraising campaigns. A reporter and editor for The Bakersfield Californian, a Public Affairs Representative for Kaiser Permanente and a Marketing Director for the Bakersfield Museum of Art are all experiences that have given him insight and experience in crafting and executing effective marketing campaigns, events and positive outcomes for all entities involved. Although Jason is a California native, he currently calls Houston, Texas home. Working in both states has been an opportunity to continue his passion for multimedia marketing and has allowed ENIGMA to thrive. (2012-CURRENT): Specializing in social media marketing, web site design, graphic design, public relations, special event management and video production. ENIGMA increases client visibility and develops social media strategies for new avenues of promotions and advertising, enhances community visibility, supports fundraising efforts and brand awareness. (2012-2013): Managed social media marketing, web site development, special events and community fundraisers. Was the first to bring comic art into the museum, showcasing the works of Todd Nauck and Tom Hodges. Launched successful social media visibility campaigns. Integrated social media, video production and web development for events, fundraisers and community projects. (2008-2012): Developed internal and external communication strategies. Implemented social media marketing. Wrote and designed print and digital newsletters. Government, Media and Community relations expert. Encouraged regional offices to develop social media strategies and usage. Used Social Media as an avenue to promote events, updates and create community awareness around topics pertinent to healthcare. (2003-2008): From the ground up – designed, developed, marketed, wrote and oversaw production of The Bakersfield Californian’s monthly specialty magazine, as well as other niche publications. Led a team of staff and freelance writers, photographers and designers.